If you are a proghead, there’s no doubt you are very well familiar with King Crimson’s classic 1974 album, Red. This very unusual album is dark, heavy, sorrowful and beautiful, containing both brutal, angular elements and the heights of celestial beauty, usually in the span of one tune. It’s an all-time classic with a huge and well-deserved reputation. Central to this album’s appeal is the track “Starless”, which starts off as a majestic existentialist ballad before going off in some really crazy avant-garde directions that make Henry Cow and Van der Graaf Generator sound like Kool and the Gang, before a thundering finale based on that original ethereal mellotron theme. David Cross was the violinist in King Crimson in the early seventies, making valuable contributions to the albums Larks Tongues in Aspic and Starless and Bible Black, as well as some key contributions to Red. In the intervening years he’s remained very much an active musician; I hadn’t followed his exploits but knew he toured and played King Crimson material as well as composed his own music. I’ll certainly be seeking out more of it. This interesting new album is based on one idea: that very same melody from “Starless”, upon which Cross has effectively based this entire album, along with help both in Frippertronics soundscapes and guitar soloing from Robert Fripp himself. You’d think that basing an album on one primary melody wouldn’t work, but it’s done commonly enough in the classical world (“variations”). So this is in many ways “Variations on Starless”. But it’s much more than that. Cross uses that melody as a jumping-off point, and it does subtly weave its way in and out of many of the pieces, but along the way we are treated to some wonderful abstract ambient textures, as well as some passionate, emotive soloing from Cross and occasionally from Fripp. The result is one of the best violin-based ambient albums I’ve heard, on par with the late Oliver Schroer’s under-appreciated masterpiece, Camino. The lengthy first track begins with a manifesto from Cross in several minutes of beautiful violin improvisation, before the “Starless” theme is brought in. 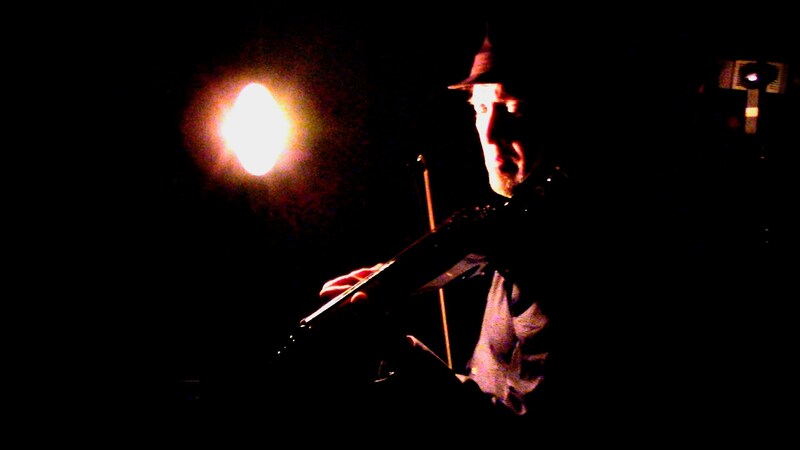 Layers of violin provide the ambient textures. This pretty well sets the tone for the rest. Along the way we are treated to “In the Shadow”, a darker piece based on an underlying bass drone. “Shine and Fall” contains delicate Fripp soundscaping, redolent of his more mournful soundscape albums like A Blessing of Tears. We are also graced with some lovely soloing in his trademark thick, clear tone. I’m not sure what the theme of this album is intended to be, but if it’s mortality and the bittersweet nature of our passing, then it’s a resounding emotional success. There’s a darkness (a bible-blackness!) but also a lightness of being in this music as well. But whatever it’s all about, this is unquestionably one of the most beautiful violin albums I’ve ever come across, and one of the best albums so far this year. 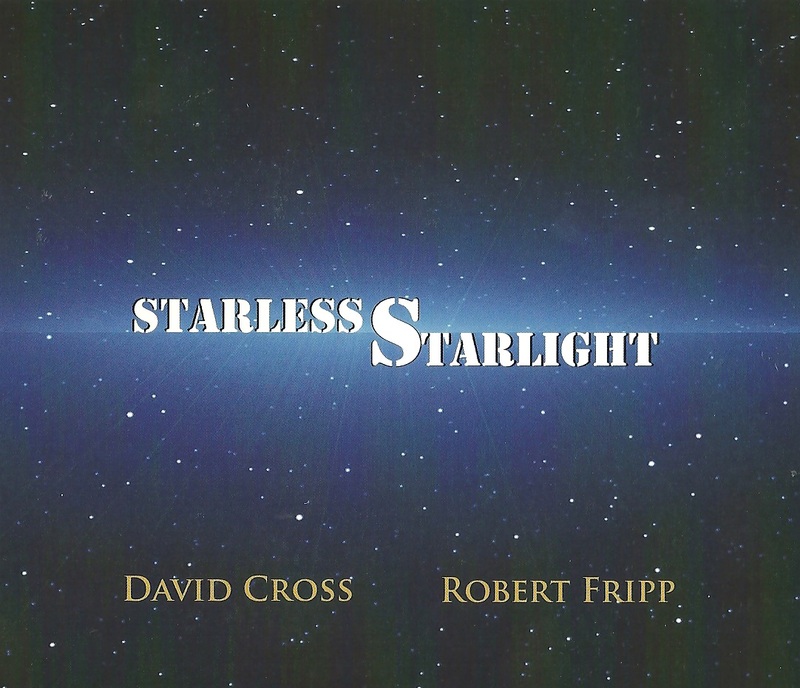 Fripp created 2 improvised soundscapes based upon ‘Starless’ in 2006 (Starlight I & Starlight II) during a live performance in St. Louis. They serve as the backdrop to this excellent album,with Cross adding layers of violin overdubs to the Frippertronics. That’s why it’s really Cross’s (and producer Tony Rowe’s) album!